Hip to be Mom - Family. Food. Life. Travel. Musings. The weekend took us on a long drive to a suburb far away. It’s not something I’m too crazy about, chasing food to the ends of the earth but sadly, we can’t find anything better in the ‘hood. Well, okay, there is a chain nearby but I mean, room temperature dimsum – seriously?! Our ancestors would be horrified! The taste too is, well, not quite up to our standard at all, I’m afraid, though you prolly couldn’t tell from the long lines outside every weekend. Then again, that’s why we’re the picky eaters while others are, well, not! For these very reasons, we’ve had to get our butts out the house early Sunday morning and venture into unfamiliar territory. That’s not to say the lines ain’t long there but at least they’re justified. You know you’re getting steaming hot dimsum and your tastebuds are gonna go giddy in anticipation. That’s what we’re paying for. At this point, I have to confess we’re not real adventure seekers when it comes to dimsum. Better stick with what we know and love; in other words, go with the standard fare and go easy on the fancy variations they introduce every so often. This time, I happened to be standing in line just outside a side door where the servers were bringing out tray after tray of dimsum from the kitchen. Hungry and impatient, I eyed every tray with interest. There are many varieties I know I wouldn’t eat but then my eyes fell on something very interesting, something I’m sure I would like. Can you guess which one it was? No, not the sesame balls (top) or the stir-fried radish cake (right) though they were both good. It was the deep-fried spring rolls that attracted my attention. I suppose I should call them egg rolls because that’s literally what they are – 3 types of eggs (hard-boiled, century and salted egg yolk) occupying 3 of the 4 quadrants. The idea itself is genius but eating it without breaking the roll apart was quite a challenge for me. It’s too big of a fit for one mouthful and I had to bite into it which meant not getting the taste of the combined flavors and textures all at once. Which I think is a shame. But still, just because I chose not to embarrass myself by cramming the whole roll into my mouth doesn’t mean I didn’t enjoy eating this hohoho. This was so delicious! Hashtag adding this to my dimsum favorites. Remember how surprised I was to discover I had bird’s eye chilies growing in my garden and what a shame it was that they were green, not red? Well, imagine my surprise (again!) when I noticed this. Yes, they turned red. Now take a closer look! Do you see what I see? Well, I see a pair of chilies dancing… the waltz, it looks like. What’s even more interesting is if you look just a little to the back there, there seems to be another chili that looks like it’s bending itself into a right angle? Hmmm! Here’s another shot from a different angle. That right angle is so distinct and prominent I honestly don’t know what to make of it. The only logical explanation I can think of right now straight out of my Biology textbook in high school is that they’re bending in the direction of the sun. Which is what plants are known to do in an attempt to get more sun. What’s strange though is that this is an open area where there’s no shade to block the sun. So I’m not really sure. My other question is, of course, why this almost perfect right angle posture seems to be apparent only in just this one chili plant and not the rest. Could this be due to an abnormal DNA? And I don’t mean this in a negative way because I think this right angled chili is both unique and pretty. Any experts out there who might have the answer to this? Trumpet, flute, bell, call them what you want. They all point to elaborately flared sleeves that would be the envy of Elvira (remember her from the Addams Family). 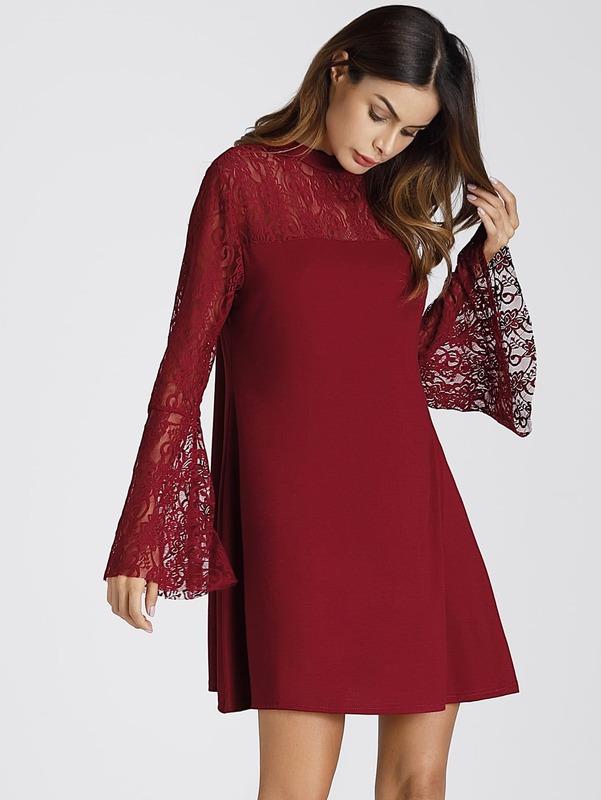 This is you, the Queen of Elegance, when you step out in this simple yet classy burgundy tunic. Let the long flute sleeves of see-through embroidered lace do all the talking as you strut into the spotlight. Or you could be the Queen of Pastel Pink in this form-fitting mini dress of all-over pencil cutout lace, unlined and see-through in its elaborate trumpet sleeves. Perfect for an afternoon garden wedding or a tea party with friends. 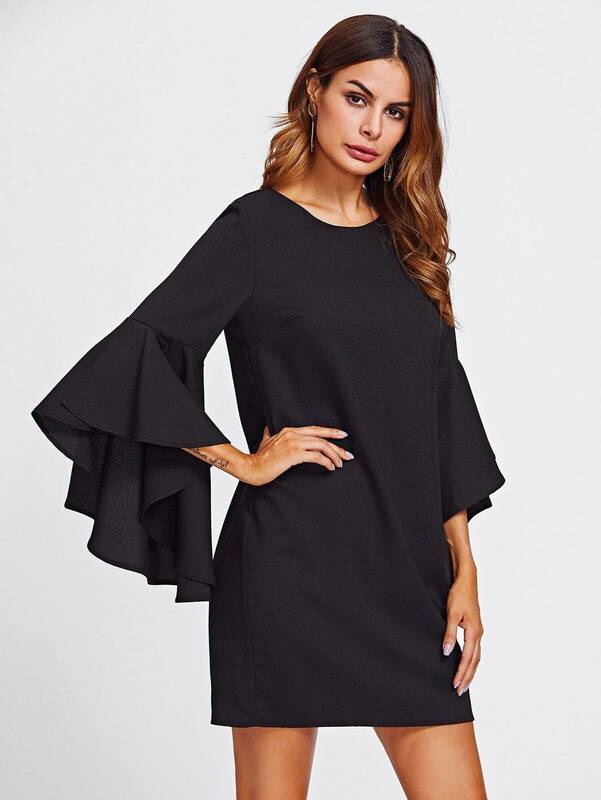 For a night out on the town, this black mini dress displays all of its elaborate elegance in those dramatic bell sleeves. Wave your hand with a flourish or lift a glass with grace, the theatrics are yours to create. … until earlier this year when it struck me that the lid serves absolutely no purpose except to cover the cup for my walk from the counter to the table. After I pop it off, it sits there, brand new, and does nothing until I’m done and then it gets dumped in the trash with the paper cup and everything else. Which begs the question: why do I even need a plastic lid in the first place? So now I tell them: No lid, please. Granted it’s just one little lid but it’s going straight into that ocean of plastic waste that’s polluting our environment and making our climate go crazy. Which, in the long run, is going to affect every single one of us and generations to come. So if I don’t need the lid, I’m going to tell them no, or pop it off right there and give it back. Simple! Those stifling heatwaves, devastating storms, prolonged droughts and massive floods that’s going on all over the place sound really scary. And while some folks think it all “just happened to be worse this year”, in reality, it’s no coincidence. The planet is getting way hotter than ever; the winds, rains and storms are getting much fiercer and the destruction and loss of life and limb is becoming impossible to ignore. And it’s all because our climate is changing. In a really bad way! So that means we really have to get off our butts and start doing something. So when I was ordering a hamburger (for somebody, not for me) and saw this sign at McD’s recently, it made me smile (the sign, not the hamburger lol). Single-use straws are as harmful as single-use plastic bags although as far as I’m concerned, no plastic bag is ever single use. I recycle them by using them to line my trash bin. Those of us who’ve switched to recyclable bags for our groceries/shopping and our own containers for food takeout, and who’re saying no to straws, lids, etc should pat ourselves on the back. Not that we’re heroes or anything but at the rate climate change is happening, we really need to get off our butts and do something. Well, we got to start somewhere and every little bit helps. So join in and do your bit. Our planet (and future generations) will thank you. Cheers. I’ve been hankering after that siu yoke (crispy skin roasted pork) ever since our dinner at that obscure restaurant in the swanky part of town whose siu yoke was all sold out for the day. Now one thing’s for sure. Nothing and no one stands in the way of me and my siu yoke, okay? Got it? 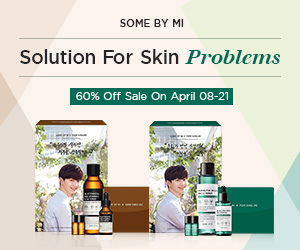 알았어요? Hence as soon as I arrived at our weekend haunt, I ordered this. Ah yes, wantan noodles with siu yoke! Finally! The “uncle” (commonly used to refer to older men) who runs this joint always makes sure my siu yoke is extra lean lol. The older folks especially swear that siu yoke is not the same without that layer of fat. But I jokingly remind him anyways, and he says “but of course, if I give you the fat, you’ll just cut it out and leave it behind, what’s the point in that?” Can’t argue with that. The man makes perfect sense. Since the early days when he started noticing us there almost every weekend, he would come to our table whenever he could get away from the kitchen and personally take our orders. He is so customer-friendly and attentive I’m pretty sure he belongs in a world with a different number lol. Look at how many pieces of siu yoke he gave me and how lean it is. Apparently his son roasts all the meat at the shop itself. That’s some mean crispy skin, I tell ya. Everything here is perfection including the wantan (little meat dumplings) except I keep forgetting to get him to “chop up those tree trunks”. So if you’re planning to try wantan noodles (and I hope you do), here are some quick tips for you. Wantan noodles are thin egg noodles traditionally served with char siu (barbecue pork). These days, you have the option of ordering it with the roast meat of your choice – either char siu, siu yoke or roast duck, or combinations thereof. You can have the wantan noodles with soup or dry (mixed in flavored soy sauce). The dry version comes with the wantans in a separate bowl of the same soup the noodles come in if you order the soup version. Hope this makes sense ;). As busy moms and working women, we can all relate to the need for a black dress. Whether it’s to appear professional at work or to camouflage the random stains inflicted by a cranky kid at an eat-out, black dresses are the answers. If you’re thinking bland and boring, remember, not all black dresses are created equal. Guess what clever black dresses are doing to get to the top of the pile. This simple black dress refuses to stay simple. Instead it insists on playing things up with beautifully colored floral embroidery in see-through sleeves that end in a long swishy tie. Genius! 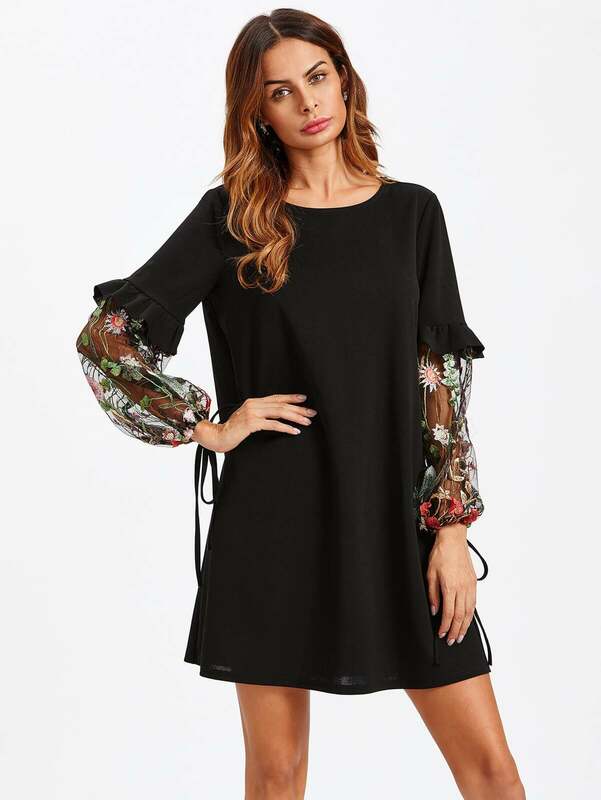 Clearly this loose-fitting shift dress is made for looks and comfort. Prefer a sorta tribal look? No problem. 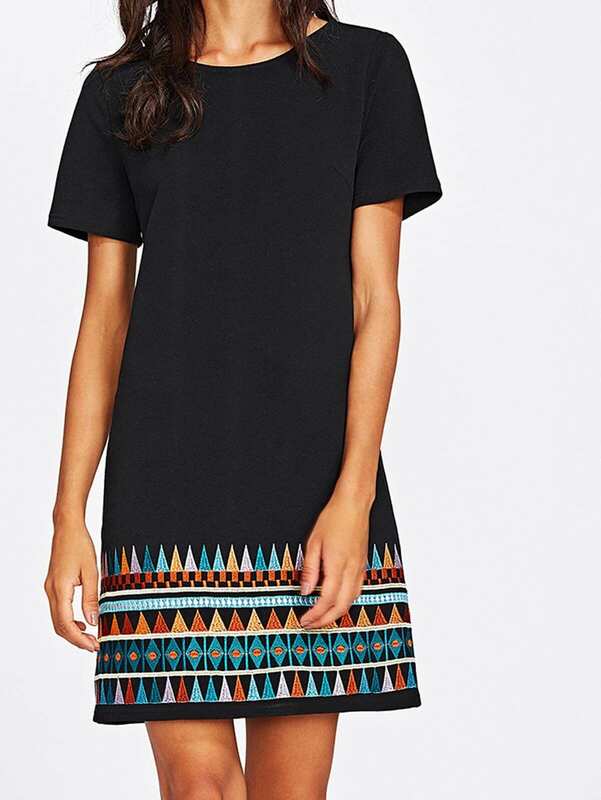 How about this black tunic with short sleeves and a geometric embroidered hem to invoke images of hills, tents, skies and sand? Hmm, I like it. Looking for something stretchy that will keep you comfortable all day? 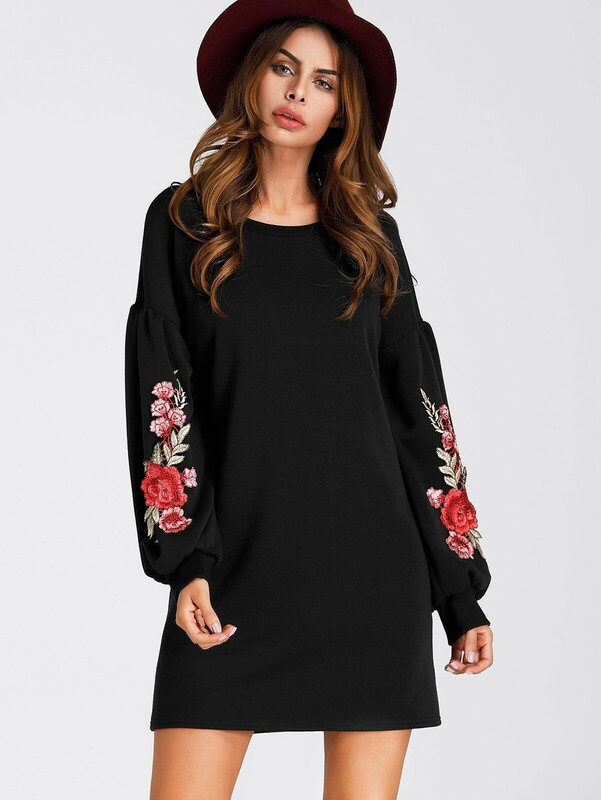 This black sweatshirt dress is perfect for the cooler days of fall and features an eye-catching embroidered rose applique on its long sleeves. One word comes to mind – classy! This black flare dress with white floral embroidery on the half sleeves and hem is so pretty and classy it’s going to turn heads for sure. What more can I say? Don’t miss the Fall Savings Event and save $10 off your order of $90+ simply by using the code – SEPTEMBER10 – at checkout. P.S. If you liked the above product descriptions, hire me to write them for you. Some days the heat and humidity gets to me so much that I just want to get drunk on water and have nothing to do with food. But eat, I must! but to save myself the trouble of assembling a sandwich, I thought I’d take the easy way and go carb-less instead. Not that I’m some health freak. Not because I even believe in cutting out carbs. But out of plain old laziness. Thrilled that I’d come up with such a brilliant idea, I danced downstairs and peeked in the fridge. Saw a tall glass of fruit juice and drank it between popping almonds and cashews. Spied a banana lying around and ate it. Dug around and found an avocado, ate half and donated the other half to an unworthy cause. And that’s it, I decided to call it a meal. Cynical me was laughing inside as I started upstairs wondering how long this so-called meal would last me. Pretty soon, I got engrossed in work and apparently 3 hours had slipped by unnoticed when I first heard my tummy growling. Thing is when you’re busy, you don’t hear these things. But the minute you slam on the brakes, bam! … it jolts your brains into the sudden realization that your tummy’s been grinding on air. And by now, what must’ve started as a subtle throbbing in your temples is beginning to resemble the pounding of a drum. Yup, I know only too well the signs of an upcoming migraine. Reluctantly I dragged myself downstairs – again – in search of food. Dang! Rummaging around for food is not something I relish, to be honest. I’m not normally a snacker so it’s hard to think of what to eat. If I could avoid it altogether, I wouldn’t even eat. But I didn’t have a choice. So suffer me some oatmeal, it is! And some watermelon I found in the fridge. Up the stairs I skipped, happy in the knowledge that having fueled my tummy, I could now jump back to work. I had no idea how much time had gone by but heck, the pounding in my head had returned with a vengeance. I glanced at the clock and what do you know? It’s been 45 minutes since my oatmeal run. Arrrgh, this can’t be happening!!! Now I have to find more food!!! I dragged myself back down to the kitchen again!! Frankly, I had no idea what else to eat. But I had to find a way to stop the drum from turning into a battering ram, fast. Then I thought of the giant bottle of Skippy’s peanut butter from Costco, busted it out and spread it thick on 2 slices of cold bread from the fridge. Aah, that’s much better. Carbs, doncha just lurve ’em?!! So yeah, I did go carb-less, or try to, sorta but it wasn’t pretty. To save myself the trouble of one meal, I ended up having to eat 3 meals! It wasn’t even like I went completely without. I just traded in the refined carbs for the good carbs and look what happened. I don’t think I was meant to go carb-less. Do you? I love it when menus come with photos of the food. At least it gives me some idea of what I’m getting. But photos can be misleading at best. A photo could look really good, leading you to false expectations when in reality, the portions will be smaller, items may be missing or replaced with inferior items and the serving nothing like the picture. Or, and this almost never happens, the photo could look so meh that your eyes lose interest and simply skip over it in pursuit of other better-looking items in the menu. This is why I never thought to order this herbal chicken noodle soup. While the word herbal typically sends my taste buds into overdrive, there’s always that teeny-tiny sliver of doubt creeping into my final decision. What kind of herbal is this – bitter, sweet, robust? Or fake, as in chucking a few measly bits of herbs into a huge big pot of salt water and passing it off as herbal? One day, Hip2bDaughter ordered this herbal noodle. I had a sip of the soup and that was it! There was no turning back. This was, hands down, one of the best, if not the best, herbal noodle soup I’ve ever tasted, stat! I rarely use superlatives in my food descriptions because let’s face it, my standards are pretty high lol. But I’m making an exception here. So how would I describe this bowl of noodles in one word? Well, for someone who loves words as much as I do, there’s simply no boiling any kind of description down to one word. But I’ll try. Dabomb. Genius. Stupendous. Out of this world (oops, there you go, that was 4 words). Well, okay, I tried. Hmm, how about symphony? This herbal soup is a symphony of sweet, herbal and spicy (I threw in a bunch of raw Vietnamese bird’s eye chilies). There are sticks and slices of herbs, goji berries, a ton of enoki mushrooms and shredded roast chicken with skin on, and as for those skinny wanton noodles, they could be a little more al dente but at this point, who cares? Well, words are just that – words. If only they could exude smell and taste as well, now wouldn’t that be something? Because I could go on and on if you don’t stop me now hohoho. If you dress the kids up for Halloween every year but have always stood on the sidelines cheering them on their trick-or-treat adventures, then this may just be the year to join and get yourself into the mood for Halloween! I promise you won’t have to gear up in some elaborate witchy outfit or block your vision with a pirate’s eye patch lol. This is going to be so simple you’ll wonder why you never got in the Halloween action sooner. Follow me, here’s what you do. Baking monster cookies? Scare away the hungry little goblins milling around the cookie tray with these X-Ray Kitchen Oven Mitts. Show your love, and your rib cage lol, and be that Verae Much Appreciated Cardigan-clad monster mom we all love. Want something that’s sweet and subtle yet packs a punch with witches, ghouls and skeletons? This short-sleeved button down top is perfect for the job. So don’t miss out. Have a fun Halloween with the kids this year. Booo!! 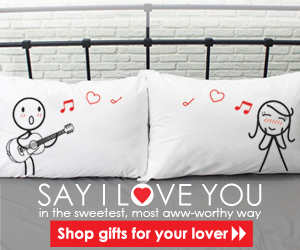 Enjoy Free Ground Shipping on US orders of $75+ at Modcloth. Limited time offer. 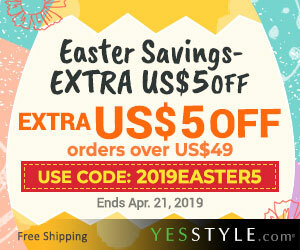 First time shoppers, save 15% off your first purchase at ModCloth.